You wake up with flu-like symptoms and feel a tender area on your body. 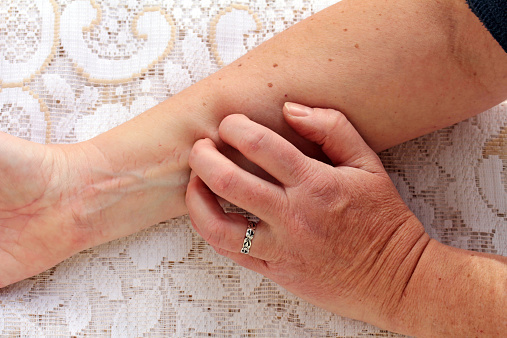 You see a rash, and it becomes so painful that even the touch of clothing on it hurts. Itemotionally. It usually will appear as a stripe of blisters along the sides of your upper torso, back, or chest. While it is not life-threatening, it can have a detrimental effect on your daily activities. Whether you are an older person, have a weak immune system, or have had chicken pox as a young child, you are at risk for the shingles virus. Let’s first answer the question: how do you get shingles? We will then discuss treatment, prevention, and various shingles causes. 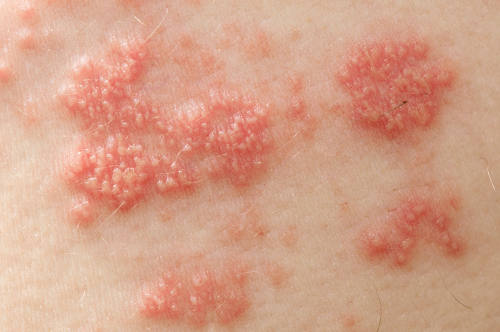 Provoked by the varicella zoster virus, shingles can occur more than once in a person. The virus is responsible for the childhood disease chicken pox and remains dormant in your nerve tissue for years. Not everyone who has had chicken pox will suffer from shingles. As an adult, if you experience a weak immune system caused by stress, disease, or even the aging process, you have a good chance of the virus being reactivated in the form of shingles. Certain medications can also activate the virus. 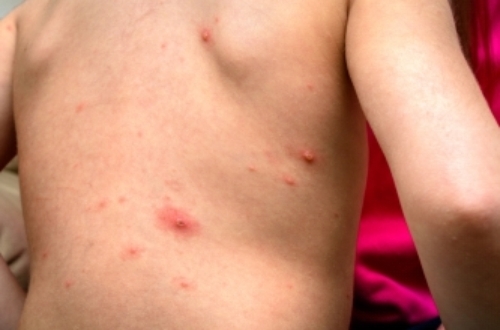 If you have never had chicken pox as a child or adolescent, you can still contract shingles through someone with the activated virus. You will receive the virus, however, not the condition. In other words, you may experience chicken pox, not shingles. This is the only time shingles is contagious and it is indirectly. It can only be contracted by contact with the open blisters of a person with shingles. Once the blisters begin to form a crusty layer, the virus is no longer contagious. To take it a step further, if you’ve had the chicken pox disease, you cannot contract shingles from someone with an outbreak as you already have the virus, just a dormant one. The symptoms can vary and can begin as a mirror to other conditions such as the onset of the flu, heart conditions, kidney problems or lung disease. Pain is the first sign it may be shingles. As the physical signs begin, they tend to favor one side of your body or face. It should be noted that it is possible to experience intense pain from shingles without a rash outbreak. If you do develop a rash, it usually forms a line of blisters from your back around to the front of your body. Interestingly, the word shingles derives from the Latin word for belt. It can also appear near your eyes or neck. The blisters are similar to chicken pox blisters as they open and discharge fluid before they scab over. Referred to as intense pain, the effects of the virus begin as a tingling or burning sensation before the pain begins. This pain cannot always be treated with over-the-counter medications as it stimulates the nerve endings. You may need steroids or antidepressants to attack the source. Is Shingles Contagious? How Does It Spread? As mentioned, the shingles rash itself is not contagious, just the virus and only to people who have not ever had chicken pox. Individuals who do not have the dormant varicella zoster virus and come in contact with the active blister of a person with the shingles outbreak, can indeed contract chicken pox symptoms. It is only through this method that the shingles virus is contagious. It only affects people that have never contracted the varicella zoster virus during their lifetime. Once infected, the person has the risk of a shingles outbreak later in their life. Although the varicella zoster virus has been found in the nasal and oral secretions of an infected person, there is no scientific proof that the virus is spread through this form of transmission. Shingles Risk Factors: Who Gets It? The simple answer is anyone who has had chicken pox. As the same virus lies dormant in your nerve cells, there are several factors that will cause it to reappear, this time as shingles. While the most common period is between 50 and 60 years of age, there are reports stating that half of people older than 80 will experience shingles. If your immune system is weakened by having another condition, such as HIV, AIDS, or lymphoma, your risk for an outbreak of shingles is greater. The cancer treatments of radiation and chemotherapy can lower your ability to fight disease and can trigger the shingles virus. Particular prescribed medications such as steroids and those used for organ transplant recipients can increase the risk. During your outbreak, there are several natural shingles treatment options to help with the symptoms. Vitamin C will boost white blood cells and increase your immune system. Take 1,000 milligrams three to four times a day. Echinacea is used to fight viruses and any infection. Take 500 milligrams three times a day. Oregano oil is another immune system booster and fights infections with its antioxidants and antimicrobial enhancements. Take 500 milligrams twice a day. Vitamin B12 speeds healing and reduces pain. Take 1,000 to 5,000 micrograms each day. Zinc is a powerful fighter of viruses and helps to boost the immune system if taken at the early stages of condition. Take 50 milligrams each day. There are also foods that help fight illness and infections. Essential oils may also relieve pain symptoms while fighting the infection and boosting the immune system. Mix two drops of tea tree oil, peppermint oil, and helichrysum oil with one quarter teaspoon of coconut oil and apply directly on the affected area. The only method to prevent shingles is vaccination. It should be noted this does not guarantee you will not get shingles. The vaccine is intended to help prevent the condition, but if you have an outbreak, the vaccine will lessen the duration and severity of the symptoms. It is not intended for those with a weak immune system as it is a live vaccination. The injection is administered in the upper arm with possible side effects of redness, pain, swelling, and itching at the entry site. There have been reports of headaches and a rash in some people after the vaccination. The varicella zoster vaccine, or Zostavax, is approved by the Food and Drug Administration for people 50 and older. The Centers for Disease Control and Prevention recommends people over the age of 60 have the shingles vaccine. For those individuals who have never had the chicken pox disease, it is recommended to have the varicella vaccine, Varivax. It is the same injection given to children to prevent the disease. As with all vaccinations, it does not guarantee you will not have the targeted disease. The vaccine will help with reducing the symptoms and duration should you contract chicken pox. “ources:your doctor abou,” WebMD; http://www.webmd.com/skin-problems-and-treatments/shingles/shingles-topic-overview#1, last accessed January 31, 2017. Roth, E., ica accessed January 31, 201 Healthline, May 11, 2016; http://www.healthline.com/health/shingles-contagious#Overview1, last accessed January 31, 2017.